A few months back, I wrote about a Facebook campaign to reinstate Ranger Rick's Facebook profile. Ranger Rick Raccoon, the persona of the National Wildlife Federation, was taken down by Facebook staff because it violated the Facebook's terms of service (no fake people.) Nonprofits online activists organized a protest on Facebook to encourage Facebook to bring back our hero, who has been the organization's spokesperson to encourage Americans to protect wildlife for our children's future. within Facebook's structure without causing their community any harm. Now that many nonprofits are using social networking actively during the holiday, I recently caught up with Danielle to learn about whether Ranger Rick is back on Facebook and what she has since learned that might be useful to nonprofits thinking about working on Facebook. So, you were the real person behind the Ranger Rick profile? What's like to be a male raccoon? First off, I'd just like to say I had so much fun with that account! I used Ranger as a way to engage younger activists and I really tried to form relationships with his friends. I wished all of his friends a happy birthday so that they could laugh at Ranger Rick in their news feed (not to mention get him more exposure). What happened after poor Ranger Rick was banished from Facebook? Over the summer Ranger Rick's exposure was growing (slowly because I didn't want to spam people) and he had over 500 friends when his account was disabled. After he was deleted I tried to reason with Facebook but they had a policy that only "real" people were allowed on the network. I felt that in many ways, Facebook was a representation of society and I wanted to make sure they gave us more than causes and groups. Grouping nonprofits with commercial ads or joke groups states the wrong message. What actions did you take to get Ranger Rick reinstated? At first Facebook frustrated me because they weren't acknowledging the fact that they needed a place for Non-profits. The problem way surpassed the disabling of Ranger Rick's account because I understood they had every right to control their network. So I formed the Non-profits on Facebook group in hopes to get Facebook to recognize that we (non-profits) wanted to be part of the discourse and not get pushed out of news feeds by means of groups. Much later however, I went to a discussion where Facebook employees were working and had the pleasure of meeting Chris Kelly, among others who actually apologized to me for deleting Ranger Rick (and I to them for breaking their rules). 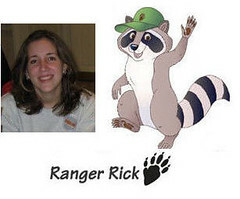 They assured the audience "We love Ranger Rick" but of course they couldn't make exceptions for a 40 year old raccoon. Does Ranger Rick have a fan page now? We have reinstated Ranger Rick with a fan page, though it's still not perfect because he's technically not a "non-profit" and he still doesn't get to maintain relationships the same way he used to. What is your advice to nonprofits are thinking about using Facebook to promote their cause? My best advice to Non-profits for Facebook is to keep their eyes peeled for changes that meet their specific needs. For now there are groups, causes, and fan pages and while none of them are perfect they are a good start. I feel like Facebook was receptive after the discussion I went to and realized that if they are including politics they should make room for nonprofits as well. 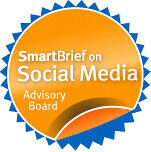 However, right now I'm seeing great results from internal cooperation when it comes to social networking. It shouldn't just be one person in your organization doing it, but all of them should make the personal connection and spread the brand and message. That way, you can ensure that work does not go to waste and that genuine messages are spread with the best intentions. Getting the internal buy in might be hard for orgs that are still uncertain of ROI and how much time they want to spend on Facebook, but by splitting up the responsibility they can reach more people and use time effectively.